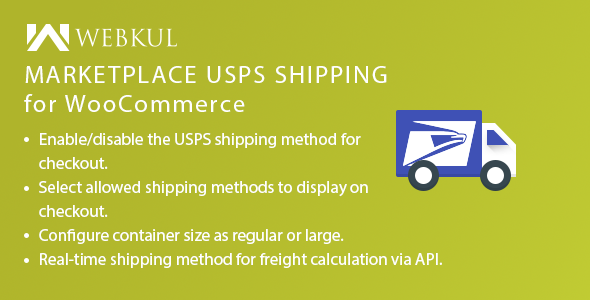 Marketplace USPS Shipping module provides USPS (United States Postal Service) Shipping method to the customers. USPS shipping service calculates the shipping rates according to the seller’s product weight, seller’s origin address, and the delivery location. Using this module, the sellers can provide convenient and affordable shipping service to their customers. The USPS shipping services ship the products to more than 180 different countries all over the world. The admin can enable or disable the marketplace USPS shipping method for checkout. The sellers also can enable or disable the USPS shipping method for their products. The admin can define if want the package to be processed by Postal Service equipment or not. Real-time shipping method for freight calculation via API.